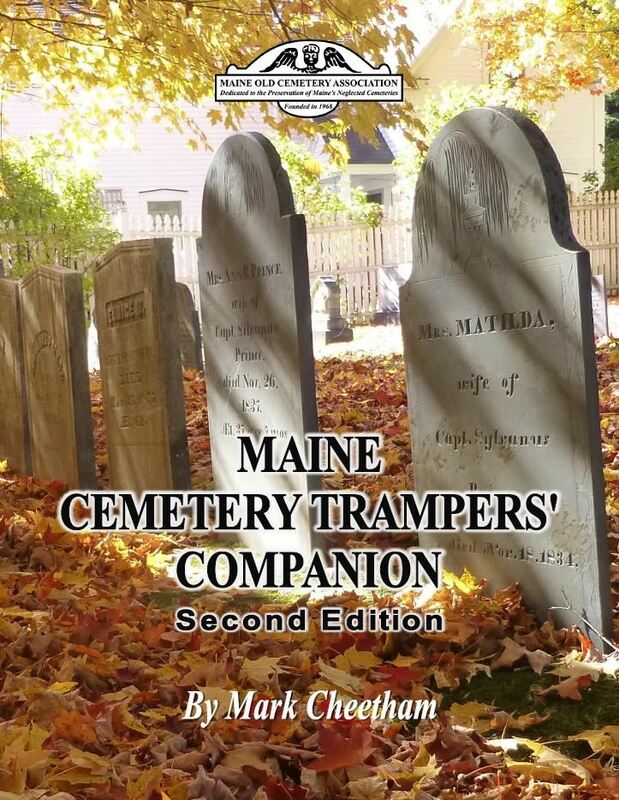 Mark Cheetham's new book, Maine Cemetery Trampers' Companion, is a perfect gift for anyone with an interest in cemeteries. A graveyard dictionary which includes the meanings of some of the initials found on stones and markers. The section Symbols on Stone contains some of the meanings of the various items represented in gravestone art work. A sixty page timeline, with an emphasis on Maine, notes many historical events in order to provide a closer look at what was going on during the lifetimes of those gone before.